For more than 60 years, Western Enterprises has manufactured quality products that inspires confidence for all industrial applications. Our quick disconnect sets, flashback arrestors, hose repair kits, CGA fittings and adaptors are proven solutions. Gas management technology, like those in our manifolds for spec gas, ensures consistent performance and quality. Gas distribution systems for medical and industrial applications round out a fully developed line. Pioneering products, such as our OxyTOTE and OxyTOTE Next Gen, boast consistent performance and reliability in portable oxygen applications. Medical regulators, flow meters, quick connects, suction regulators, and hose assemblies offer diversity in our medical products. What’s a party without balloons? Westwinds helium products bring life to your helium application. Whether you are looking at foil or latex, we have inflators for both applications. As a trusted leader in gas management technologies, Western inspires customer confidence by delivering proven solutions for the control, storage and transmission of high-pressure gases. Our pioneering products champion safety, ensure consistent performance and boost efficiency within industrial, medical and specialty gas markets worldwide. 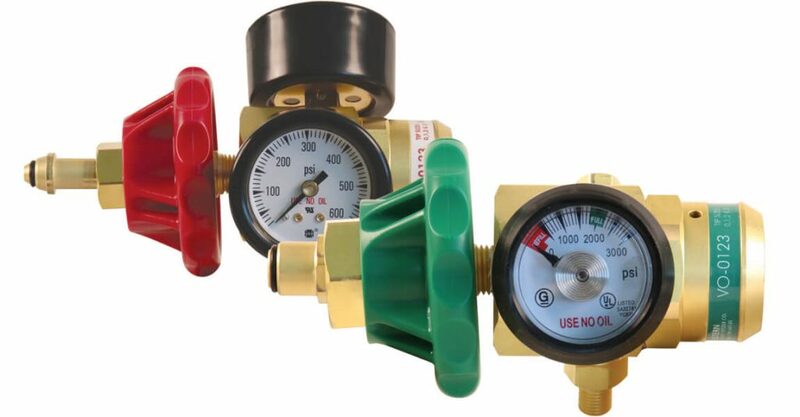 Our new Oxygen and Acetylene regulators are designed specifically for the needs of HVACR contractors. No more wasted time adjusting the settings, the regulators do all the pressure adjustments. The hand tight CGA 200 (VA-0123) and CGA 540 (VO-0123) connections provides for easy set-up with no tools. Both regulators are compatible with tip numbers 0, 1, 2 and 3 and A-size torches and hoses. Western / Scott Fetzer Co.
To develop, manufacture, acquire, and market an evolving portfolio of innovative products for the control, monitoring, and flow of gases worldwide.